Sunderland’s Stadium of Light ground will host the biggest third-tier crowd for 39 years for their Boxing Day game against Bradford City. Sales have surpassed the League One record of 38,256 for Leeds United’s game against Gillingham in May 2008. The crowd will be the highest at this level since the 1979 Sheffield derby, which attracted 49,309 fans. It will also be Sunderland’s biggest since the club were relegated from the Premier League in 2016-17. “What a phenomenal achievement by our supporters and what a statement to the football world that Sunderland is on its way back,” executive director Charlie Methven said. 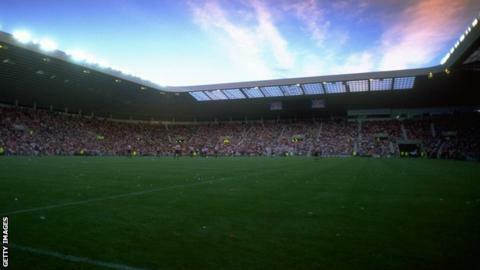 The Wearsiders will also officially rename the south stand the ‘Roker End’ at the game. They are currently third in the table under manager Jack Ross and bidding to return to the Championship at the first attempt. English football’s third tier was rebranded as League One in 2004, having been Division Two from 1992, and Division Three before that.